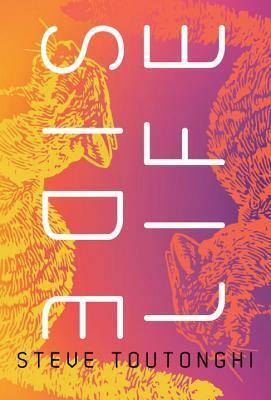 Gail Mencini’s debut novel is an adult coming-of-age story set in the Italian countryside. I am looking forward to reading this and escaping to Italy, one of my favorite settings. The book releases today and thanks to the publicist I have a copy of To Tuscany With Love to give away to one of my readers with a US mailing address. Bella Rossini, a vivacious college junior, lands in jail overnight with acquaintances whom she mistakes for friends. Shipped off to Tuscany by her mother, Bella is suddenly thrust into living with seven strangers during one life-altering summer. Meet Hope, the sturdy and practical girl, steadfast in her loyalty to her boyfriend; Meghan and Karen, identical twins with an eye for fashion and beauty to match; Stillman, haunted by his hard past, and Phillip, an athlete, both fueled by competition; Lee, by family mandate in pre-med; and Rune, the Hollywood-bound wild child. All add sizzling chemistry and rebellious humor to the mix. In one whirlwind summer, while uncovering the charms of Italy, they discover both friendship and love. After their summer together, life – and loss – happens. Returning to Tuscany 30 years later, their dreams, anger, secrets and disappointments create an emotional kaleidoscope. Their reunion sends them on a startling collision course that none of them could have predicted. Set against the allure of Tuscany, with an irresistible fusion of heartbreak and humor, this debut novel, “To Tuscany with Love”, explores the fear of letting the past determine the future and the power of friendship. 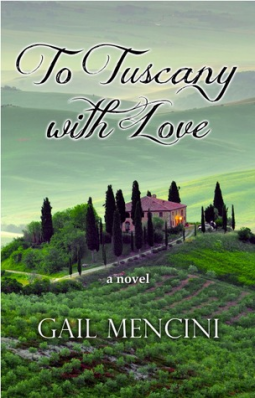 Gail Mencini makes her literary debut with “To Tuscany with Love” (January 2014, Capriole Group) an adult coming-of-age novel set in central Italy. Born in rural Nebraska, Mencini graduated with honors in 1976 from Wartburg College in Waverly, Iowa, where she majored in accounting, economics and business administration. 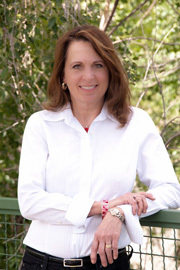 She holds a Master of Laws of Taxation degree from the University of Denver College of Law. a featured presenter in a real estate conference in the Caribbean. In 1990 when she married her husband, Mencini became an “instant mother” of three boys plus another son two years later, which opened the doors to becoming a full-time mother and igniting her long-time passion for creative arts, gourmet cooking and traveling. She went on to become a contributing editor and photojournalist for Buzz in the ‘Burbs, writing monthly cooking columns featuring dinner themes, recipes and complementary wine suggestions. She also served as interim director of marketing for Wine Master Cellars as the company transitioned to new leadership. She has been a member of the Rocky Mountain Fiction Writers for nearly 20 years as well as the Pikes Peak Writers for over 10. She most recently joined Author U based in Aurora, Colo.
She writes and cooks in Denver, Colorado, with her husband and family who are always ready to critique her abundance of story ideas and recipes. Giveaway is open to those 18 years or older with a US mailing address. To enter, leave a comment on or before midnight, January 18, 2014. For an extra entry tweet or blog the giveaway and leave the link in your comment. I will draw a random winner who will be contacted by email and have 48 hours to respond with a mailing address. 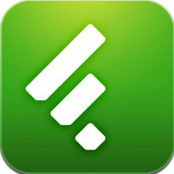 Source: Review copy and giveaway provided by JKS Communications. Thanks for this wonderful giveaway. The novel sounds captivating and special. What a great locale. Many thanks. To Tuscany With Love is a novel in which I could immerse myself for days. Loved learning about the author and her writing. thanks for this chance and your feature. I LOVE Tuscany. Going to have to check this book out. THANKS for sharing and for coming by my blog. There is a link back to my giveaway below if you or anyone else wants to stop by. Please count me in! I love books that cross the ocean, especially ones set in Italy and France… Have tweeted for the extra entry – https://twitter.com/FemmeFoyer/status/420609646127116288 Thanks! This sounds like an enjoyable story and of course being set in beautiful Tuscany is another great attraction. Thanks for the chance to win a copy, please enter my name in the draw. Sounds like a great read. I love reading books which take place in Italy! 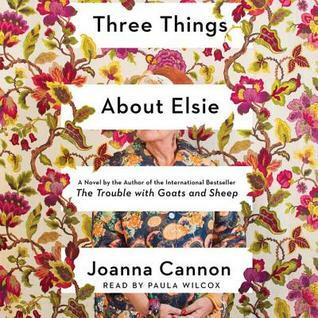 Hello, What a lovely book cover…That alone peaks my interest in her book! Oooh sounds like a good one. I’d love to be entered in the giveaway. I would love to know more about the reunion. I know that I can’t enter the giveaway, however I just wanted to say how great this book sounds, with its lovely Tuscan setting and to thank you for a great feature post. Thanks for the giveaway. Would love to win it for a friend of mine. The novel sounds amazing and interesting. I love reading stories that take the characters from kids to adults. Thanks for having this giveaway. What a great sounding cast of characters and since it’s set in beautiful Tuscany how could we go wrong? I’d love to win a copy. Please enter my name in the draw. Italy is one of my favorite places to “visit” through books. I’d love to be entered. Sounds really good, thanks for the giveaway!